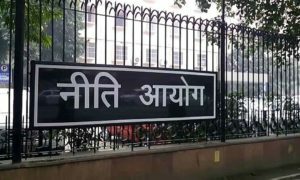 The NITI Aayog has suggested to waive the fee for those students of Madrasa who opt for National Institute of Open Schooling exams. With stress on “continued efforts” for modernising minority community through educational empowerment, the policy think-tank has made the aforementioned recommendations along with others in its ‘Three-Year Action Agenda, 2017-18 to 2019-20’, released recently. 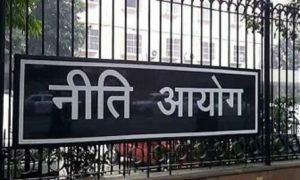 The aayog has also recommended the Government to make “continued efforts” for modernisation of Madrasas through curricular reforms and by providing facilities such as computers, labs, libraries, among others. Muslims are the largest religious minority community in the country. According to the agenda and various other reports, the community is behind others in terms of economic, health and education parameters. “Continued efforts should be made to modernise them (madrasas) through curricular reforms and provision of facilities (e.g. computers, labs, libraries). A fee-waiver could also be considered for Madrasa students opting for examinations conducted by the National Institute of Open Schooling,” the Aayog said in the agenda. The government think-tank said there were a “large number of madrasas” in the country although the exact numbers are unclear. In other reforms, the Union Ministry of Minority Affairs has already announced its plans to offer mid-day meal along with building toilets in one lakh Madrasas which impart mainstream education, including that of science.